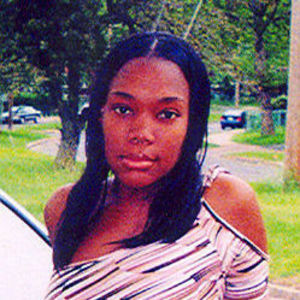 Mavis (affectionately known as Jessica) St. Juste, 28, of Manchester, passed away suddenly on Thursday, (November 20, 2008) at St. Francis Hospital. Born in St. Croix, U.S. Virgin Islands on March 29, 1980, daughter of Martha Lena (Henry) St. Juste and the late Martin St. Juste, Jessica was raised in St. Croix and had lived in Manchester since 2000. She worked as a medical assistant at Dr. Kellermans office in Bloomfield. Most of all, Jessica will be remembered as a free spirit who was very kind and giving. She loved to laugh and spend time with her son whom she loved dearly. Besides her mother she leaves a son, Malik Isaiah Samuel Shelton of Manchester; five brothers, Marcus St. Juste of Hartford, Nestor Garnier of St. Lucia, Michael St. Juste, Marfis St. Juste, and Max St. Juste all of Florida; six sisters, Margareta Henry of Hartford, Lucina Henry of Hartford, Marlene McIntosh of Manchester, Cleopatralina St. Juste of Manchester, Mellissa St. Juste of Hartford, and Messha St. Juste of Manchester; her boyfriend of many years, Samuel Shelton of Manchester; five nieces; seven nephews; 1 great niece; and a host of aunts, uncles, cousins and other relatives and friends, too numerous to mention. I'm sitting here trying to remember the Hemoglobin S Solubility test protocol and remembered Mavis, who if I'm not mistaken, had Sickle Cell Anemia. I've known Mavis since elementary school and though she had a quiet demeanor was always laughing with someone about something. She taught me how to make johnny cakes with her mom's deep fryer in high school in preparation for our Home Ec test and I still use the same recipe to this day. I remember the strength of her mom, who walked everywhere. May God continue to strengthen her and the rest of the family.